The United States' decision to reduce financial assistance to the UN Relief and Works Agency for Palestinian Refugees (UNRWA) will place an additional burden on Lebanon, which currently hosts enough Syrian and Palestinian refugees to constitute half the country's population, Lebanese President Michel Aoun said Thursday. The number of registered Syrian refugees in Lebanon has dropped to below 1 million for the first time since 2014, AFP reported on Tuesday, citing the UN. 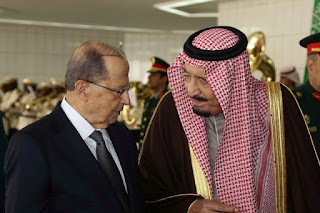 President of Lebanon Michel Aoun has called on Saudi Arabia to clarify why Prime Minister Saad al-Hariri remains in the kingdom and does not return to Beirut. 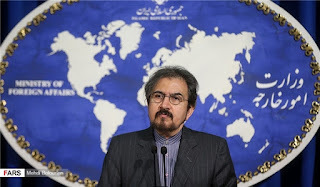 The US withdrew from the UN's cultural and educational agency Thursday during a contested race for the director general position, a source said. 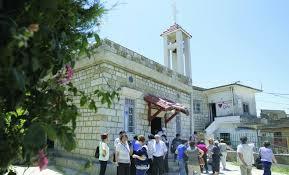 When about a hundred Arab Christians recently attended Mass at the small church at Ain Qiniye in the Israeli-occupied Golan Heights, it was a turnout not often seen there. Few Christians remain on the Israeli-held part of the strategic plateau northeast of the Sea of Galilee, where Christians believe Jesus walked on water. The European Union ambassadors to Lebanon expressed on Tuesday their "full support of Lebanon in its handling of the immense challenge of hosting Syrian refugees since the crisis began." 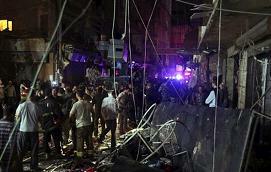 A national day of mourning will be held Friday after two suicide bombers on motorcycles killed at least 43 people and wounded more than 200 others in a predominantly Shia area of southern Beirut.